Shelf worn dust jacket is in a protective sleeve, page edges tanned. Shipped from the U.K. All orders received before 3pm sent that weekday. "Witty and literate--Davis' books make old Rome sound fun--it is all so enjoyable." - "The Times" "If only all bestsellers were this satisfying." 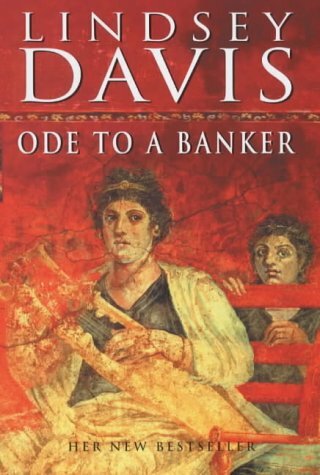 - "Time Out" "Davis adroitly pulls off the trick of ensuring that her detective's anachronistically modern sensibility does not seem out of place in ancient Rome. The politics are, as usual, remarkably well handled and the sight, sound and smell of Rome is captured with even greater pungency than usual." - "Publishing News" "Falco's lively narration--combines humour with sharp observation." - "Sunday Telegraph"
The twelfth novel featuring Roman sleuth Marcus Didius Falco explores the Roman spheres of poetics and banking. When a rich banker family becomes patron to a group of struggling writers and is then murdered, Falco is sent to investigate.